From Pre-Med To Teacher: A New Kind Of Healing Ayodeji Ogunniyi's family came to the U.S. from Nigeria in 1990. 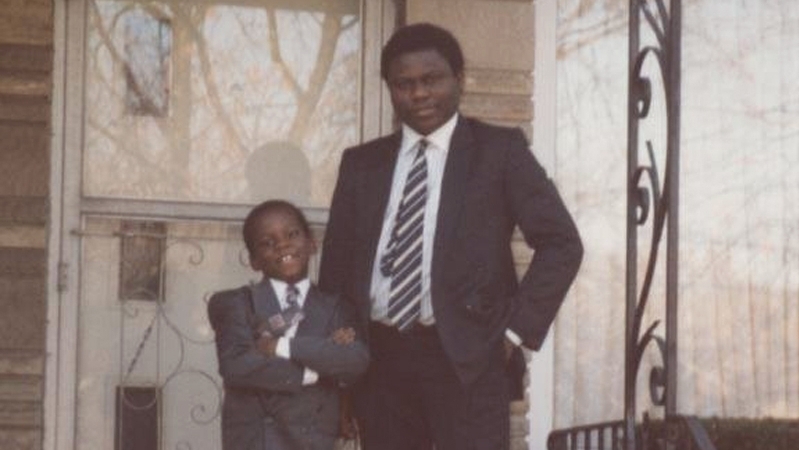 His father worked as a cab driver in Chicago, and he always wanted his son to become a doctor. But while Ogunniyi was studying pre-med in college, his father was murdered on the job. At that point, he says, his life changed course. Ayodeji Ogunniyi, 24, is an English teacher at Thornton Township High School in Harvey, Ill.
Ayodeji Ogunniyi is an English teacher at Thornton Township High School in Harvey, Ill. His family came to the U.S. from Nigeria in 1990. His father worked as a cab driver in Chicago, and he always wanted his son to become a doctor. But while Ogunniyi was studying pre-med in college, his father was murdered on the job. At that point, he says, his life changed course. Ogunniyi, 24, says it was 11 p.m. when his family got the news that his father had been murdered, his body found in an alley. "I remember yelling 'No!' really loud, and my brother was going haywire, and he punched a hole in the wall," he says, "and then my mother just ... she started to pull her hair, and she scratched her face." The murderers — ages 18, 19 and 22 — were found within four days. "I was angry. I was very, very angry," Ogunniyi says. "I didn't want to retaliate. I just wanted to just ask them why. What happens to a person? Where do they get lost to become murderers?" Ogunniyi was working at an after-school program at the time, tutoring young people with backgrounds and environments similar to those of the murderers. He recalls one 16-year-old student who stormed out of class when all the students had to read. "I went out to talk to him, and he just broke down. He said, 'It's hard for me to read,'" Ogunniyi says. "There are many people that cry because they're hurt, they've been neglected — but to cry because you couldn't read, that spoke volumes to me." 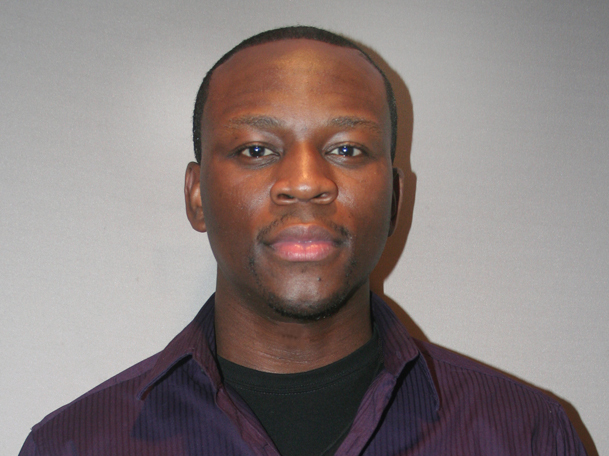 Ogunniyi helped get the student enrolled in some other programs. When the boy started to read, he says, "it just was like this gift that money can't buy for him." "By me giving that to him, I totally forgot about the pain of the murder, and I wanted to continue to give more of what I had — to heal," he says. "It just dawned on me: Everybody, at some point, sits in a classroom. That could be the foundation for everything else." "That's when I said that whatever happened to my father is not going to be in vain," he says. "I'm going to follow my heart and become a teacher." Audio produced for Weekend Edition by Brian Reed.